Mechanical engineering alumna Erin Winick was honored at the state’s capitol for her STEM-inspired fashion accessories company, Sci Chic. Erin Winick’s college career was filled with success and passionate involvement. Under her leadership, the UF section of the Society of Women Engineers won the parent organization’s highest award. She was among the first two University Innovation Fellows selected to represent UF. She represented the college at the UF Engineering Leadership Summit, our Convocation ceremony, and at the 2015 McDonald’s Cadet Leadership Conference at the United States Military Academy at West Point. She also made headlines on CNN with the student startup company she founded, Sci Chic. A year after graduating, Winick continues to make headlines. She was recently selected by the governor for the prestigious Young Entrepreneur Award. Sci Chic designs and produces 3D printed jewelry and accessories inspired by science and engineering. This year, the company launched a subscription service, where customers receive a monthly assortment of jewelry and stories and videos about women in STEM. To learn more about Sci Chic, visit www.scichic.com. 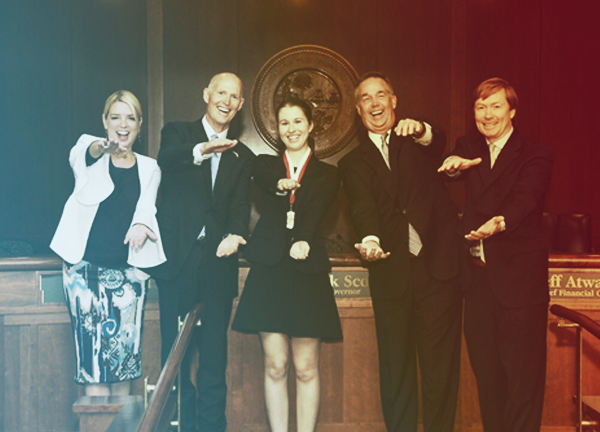 To learn more about the Governor’s Young Entrepreneur Award, visit HireFloridaGrads.com.